Charming Wild Goose Farm colonial offers a turnkey opportunity for a lucky buyer! Plenty of windows make this open floorplan light and bright! Main level features foyer entry and living room with woodburning fireplace. Newer flooring extends from living room into the formal dining room. Spacious kitchen with granite counters, white cabinets and stainless steel appliances has sliding door opening to deck and backyard. Updated powder room on main level. Turned staircase leads to second level, which offers a spacious Master Bedroom with vaulted ceiling, walk-in closet and updated master bath. Two additional bedrooms, each with a spacious closet, hall bath, and laundry area complete the second level. Finished basement features a media area (home theater equipment included!) plus additional space for exercise equipment, home office, or playroom. Dont miss the deck and outdoor oven - a perfect spot for entertaining or private relaxation. Newer carpeting in basement and on second level. Newer roof. 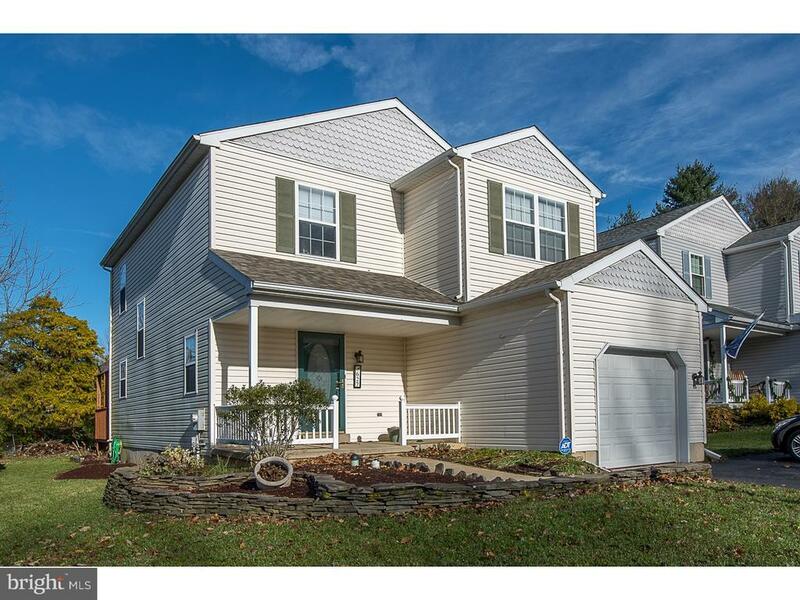 Convenient to commuting routes, shopping, and West Chester Borough. Dont miss this one!